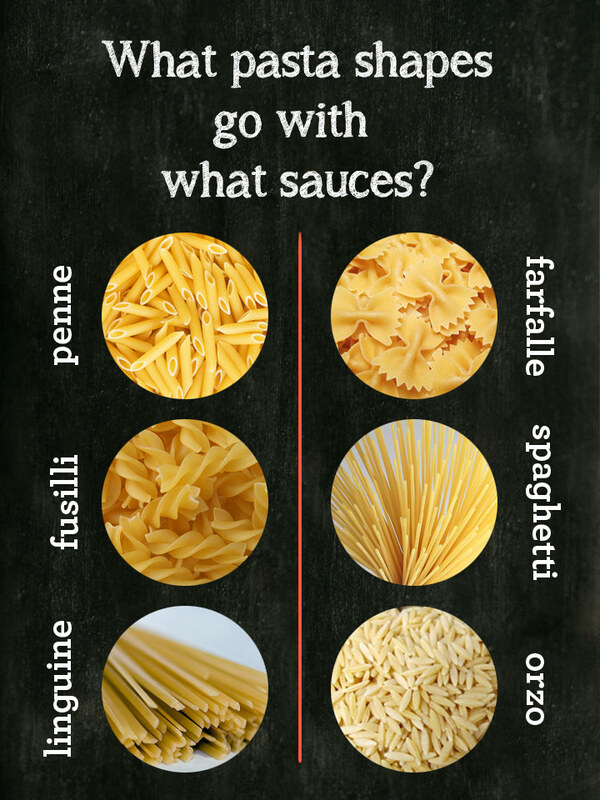 Good Question: What Pasta Sauces Go With What Sauces? The pasta aisle: So many shapes, so many choices. We encourage getting creative with any type that catches your eye (who doesn’t reminisce of alphabet letters now and then? ), but everyone tends to gravitate toward one type over another, restocking the pantry with the same old shapes. For most people, Italian pastas feel interchangeable: fresh, homemade marinara sauce tastes just as delicious atop penne as piled on linguine. But traditional Italian cooking holds a method to the unending list of noodles. 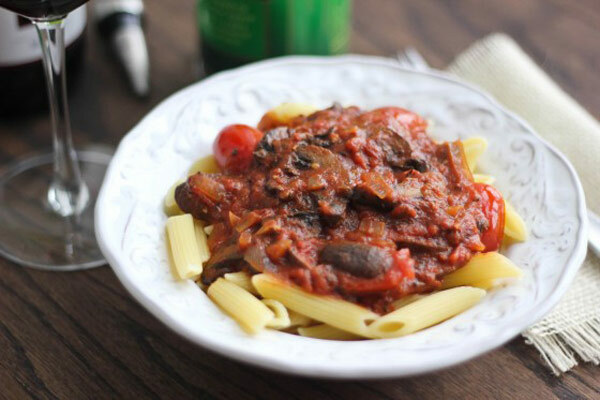 Each pasta’s form and texture play a bigger part in sauce pairings, thick or thin, warm or cold. Sturdier noodles stand up to heavy cream-based and meat sauces while more delicate types compliment oil-based entrées. And of course, a few of our favorites play well with nearly any “gravy” out there. 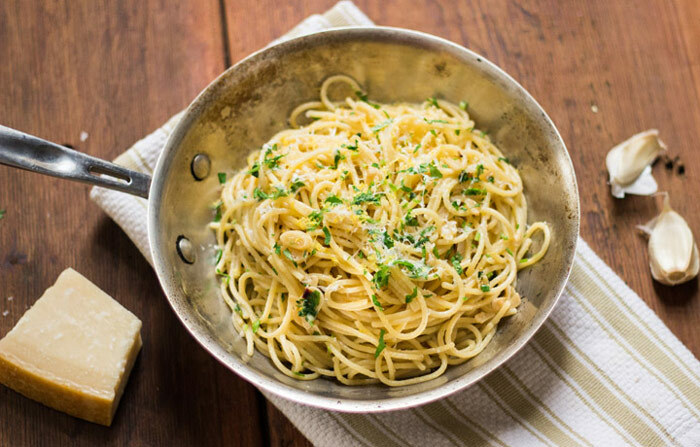 We’ve provided a run-through of accessible noodle-sauce pairings for pasta dinners that satisfy everyone around the table. Penne, like other ribbed, tube-shaped pastas, grips thick sauces, with or without meat. Chunky tomato sauce sneaks into the tube-shaped pasta with every bite. Like rigatoni, penne binds together in a tomatoey baked ziti with a generous serving of cheese. For a creamier pasta dinner, top penne with chunky parma rosa or vodka sauce. Farfalle (AKA bowtie pasta), supports any type of sauce with its ribbon-like pleats. 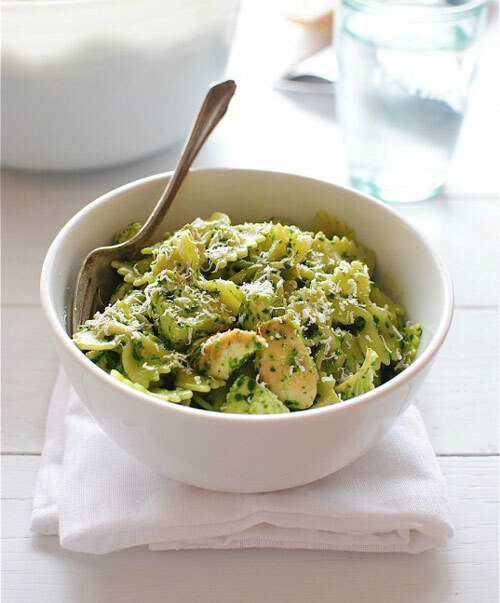 Scoop up a farfalle noodle pooled in pesto, drenched in creamy wine sauce, or dripping with four cheese for a more sophisticated version of macaroni and cheese that kids and adults will love. 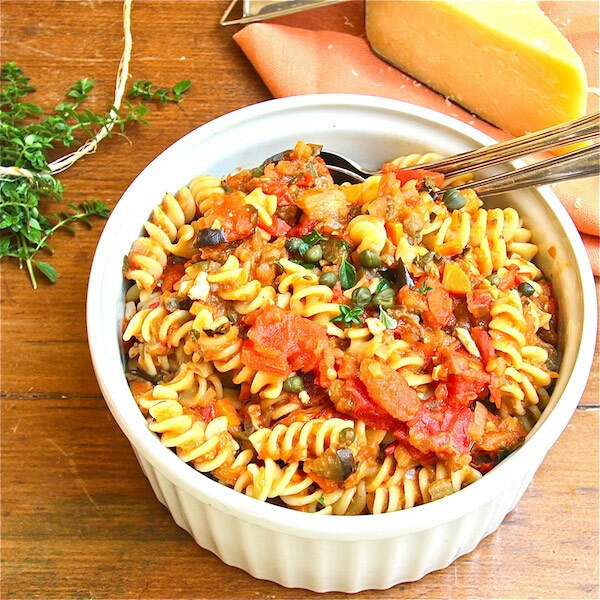 Fusilli stands up to thicker sauces. The spiral shape grabs hold of chunky tomato sauce and bolognese so you can get a little piece of every add-in on each forkfull. The tri-color fusilli you can find in most grocery stores adds extra vibrancy to colorful pasta salads with grape tomatoes, feta and broccoli. With spaghetti, the classic meatball combination is only the beginning. Just like the similar, thinner angel hair pasta, skinny spaghetti strands can’t cling onto much sauce. Smoother, often olive oil-based sauces allow the pasta to soak up flavor. Keep it traditional with homemade marinara, try a creative kale pesto, or let the vegetable add-ins shine with a simple toss of olive oil. Linguine offers a much-needed in-between for narrow spaghetti and wide, flat fettuccine. The thin, flat noodles cling just as well to thick, rich alfredo as to a lighter, basic tomato sauce. 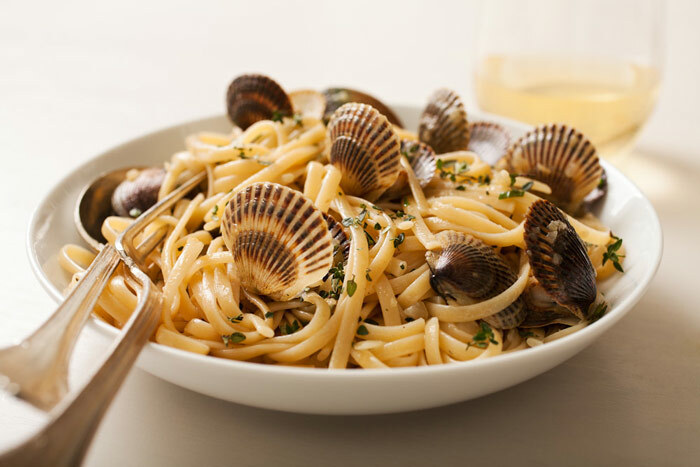 We recommend linguine for an alternative bolognese-without-the-beef, or tossed with broth, clam juice, and herbs for a traditional Linguine Vongole. 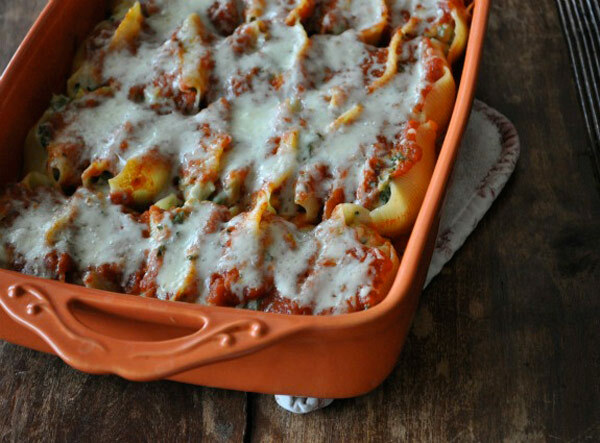 Large shells are meant for stuffing with ricotta cheese, coating in marinara sauce and topping with mountains of melting mozzarella. Medium-sized shells can still be stuffed individually, but also make great bases for pasta salads, scooping up cherry tomatoes, peas and other small add-ins. Kids love the mini shells for mac and cheese. Each noodle swims around in the creamy mixture and spoons a little extra sauce in each bite. Rice-shaped orzo tends to get lost in thick sauces. Instead, these tiny pieces are typically eaten cold in oil-based pasta salads. 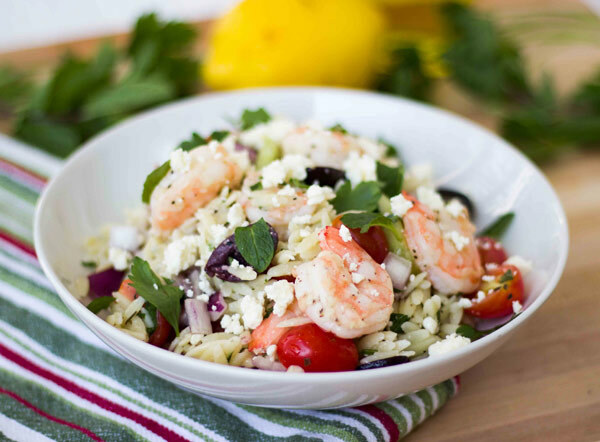 When you’re craving a warm dish, try orzo with a thinner white wine- or browned butter- based sauce. And now for our first ever handy-dandy infographic!